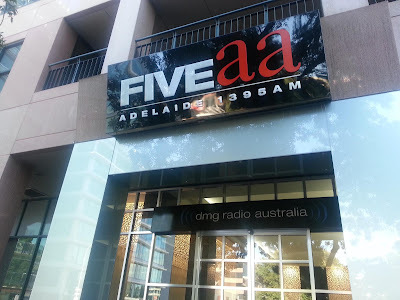 Dean from Australia: Dean Mayes with Ali Rodda on Adelaide's FiveAA Radio. Dean Mayes with Ali Rodda on Adelaide's FiveAA Radio. This evening here in Australia, I sat down with interviewer Ali Rodda in the Pirie Street studios of Adelaide Radio 1395 FiveAA to talk about my latest release "Gifts of the Peramangk". We spoke for around 20 minutes but managed to pack a lot into that time and, I gotta say, having been totally gripped by nerves - I had a great time doing it. Thanks to a few people who were listening at the time the interview went live, I was able to secure a recording of the entire interview. 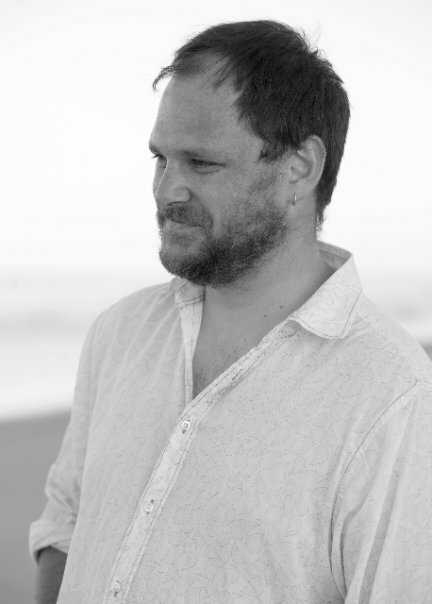 A big, BIG thanks goes out to my mate Scott Taylor up in Aberdeen, Scotland (yes - you read that right), who secured the recording that I've been able to use to present here. Also, big thanks to Jason McNamara in Canberra who recorded a back up and finally, Greg Ralls over in Perth, Western Australia, who also chipped in with his own recording. So yeah, here it is - the interview I recorded with Ali Rodda this evening. I hope you enjoy it.